For fun, Rob and I checked out Costco in a few other countries. It’s always entertaining to see the variety of products for sale and compare to back home. The Korea and Taiwan ones had a kimchi bar. 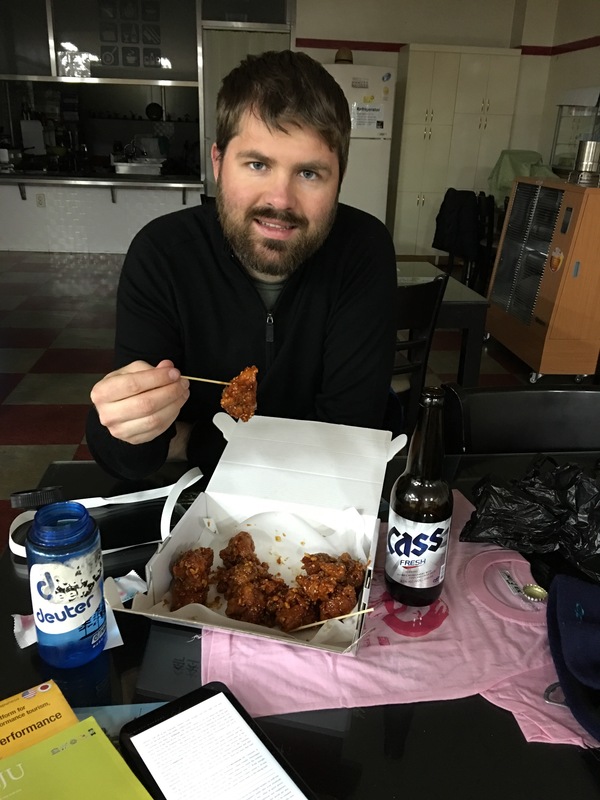 Rob and I walked a ways from the metro to get to one of the Seoul Costco stores. Once we were nearby, we could easily follow the line of people carrying wholesale size items to the store. After wandering awhile inside, Rob started thinking they didn’t sell food. But alas, he just hadn’t found the cartscalator to the lower floor. The food court is located so you can dine between floors. The seafood selection at the Korean store was the best of the three we visited. It was also nice to see all the thinly sliced meats they sell for BBQ, bulgogi or hot pot. 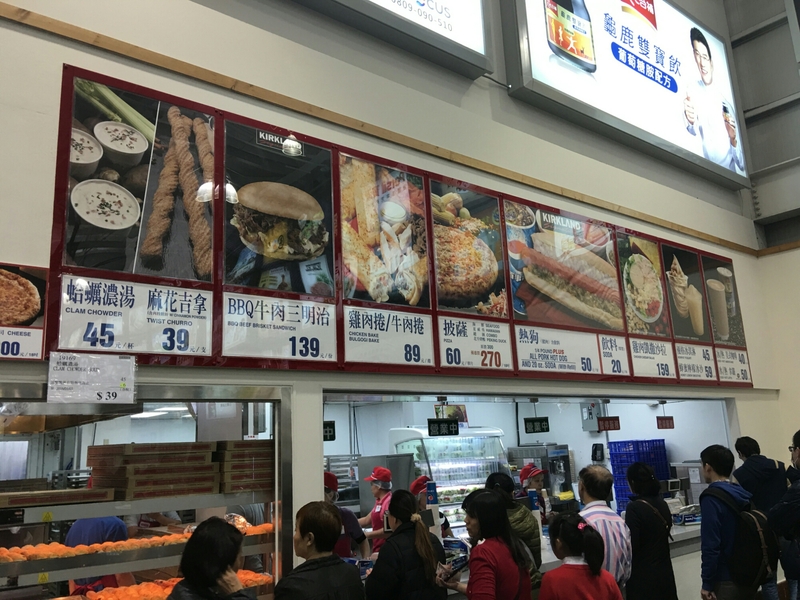 Costco Korea food court menu. 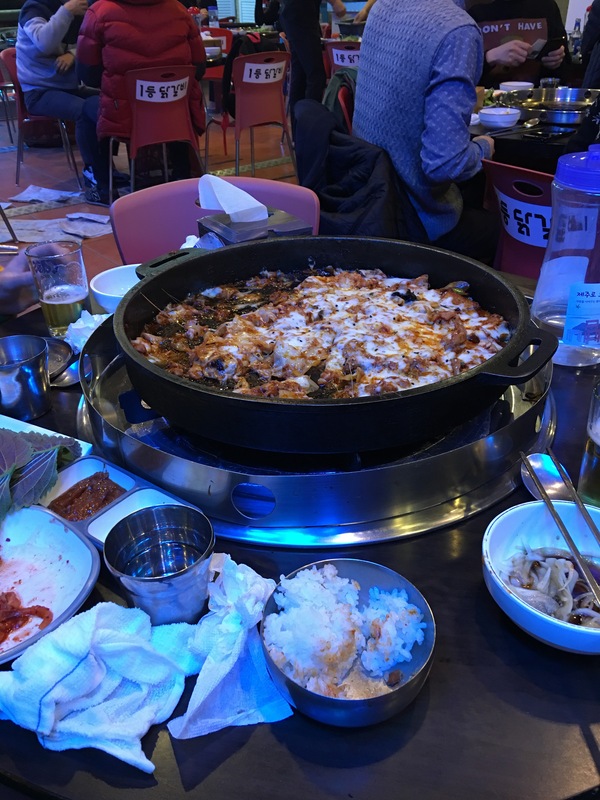 We tried the pizza, the bulgogi bake (like a philly cheesesteak in chicken bake form) and the mango smoothie (too sweet). Costco soju, a terrifying amout of alcohol for a very low price. Prepared hot pot packs. I thought this was pretty special, but then we saw these all over Japan in grocery stores (smaller sizes of course). The interesting potato chip flavor round-up. Out of all the Costcos we visited, this one had the most unique food court menu. We had the seafood pizza (meh) and the peking duck pizza (very tasty)in addition to a massive round of samples, including some cake that unfortunately looked better than it tasted. We ended up getting a bag of the oyster omelet chips to eat of our forthcoming bike trip. We dropped in here a half hour before closing right after we picked up the campervan. After all, we needed some food for the road trip (and dinner). The tortellini was very expensive at over $20 a package. Bacon only comes in chunks. Not good for car cooking. Rice burgers. Rice patties instead of buns. Only chicken bakes were left. Still good though. You must fill out a Costco international form to shop here if your membership is from abroad. Merry Christmas! Happy Holidays! 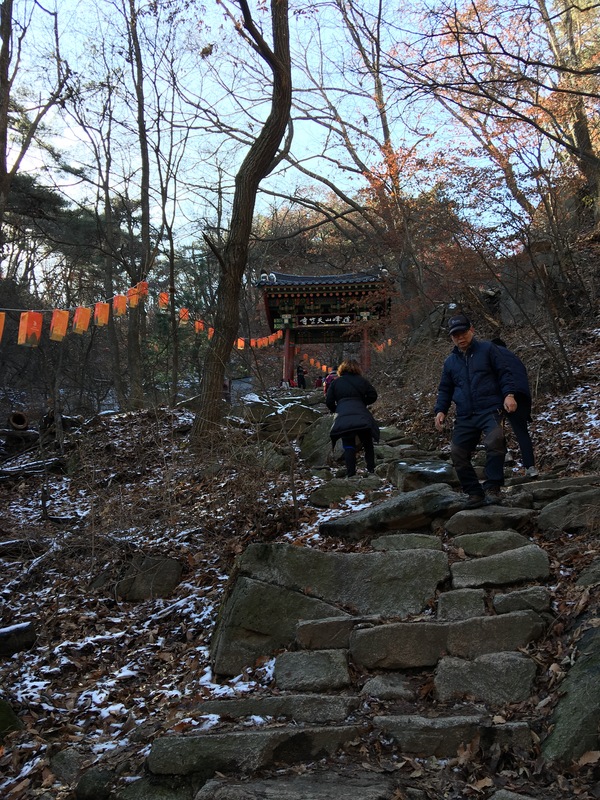 Rob and I are in Taiwan now, but we greatly enjoyed the Christmas/holiday season build up during our two weeks in South Korea. Here’s a selection of our favorite decorations.